With the right technique, a little flambe makes this peach dessert extra special. 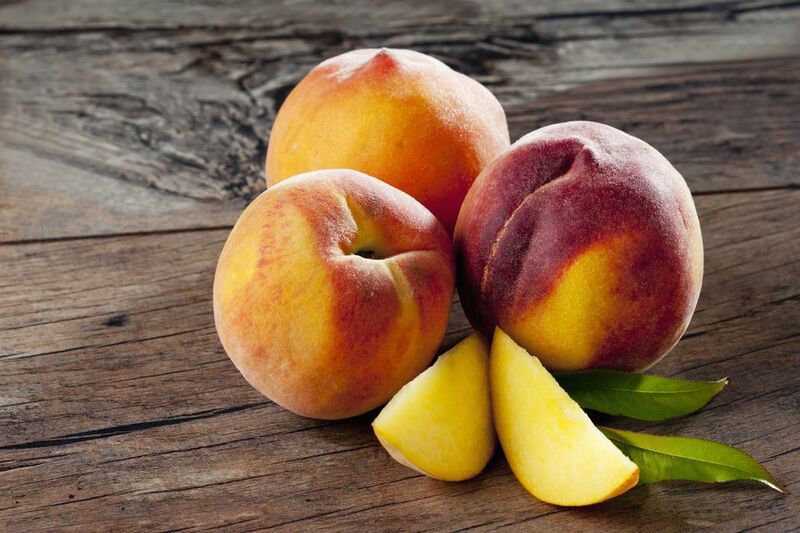 Take 2 ripe peaches, cut in half, then slice in about 4 or 5 slices. Melt a few tablespoons of butter over medium heat in a heavy, deep skillet with a long handle. Add 2 to 3 tablespoons of brown sugar; stir. Add peaches. Cook until fairly warm and starting to soften -- about 1 minute. Flip the peaches and let them cook an additional 30 seconds. Remove the pan from the heat and add rum (light or dark; dark has more flavor) to taste, and swirl in the pan a bit. Put the pan back on the heat. Light a very long match and pass over the pan. Stand back and avert your face. Allow the flame to die down and the sauce to thicken slightly. Remove from heat and serve over ice cream.